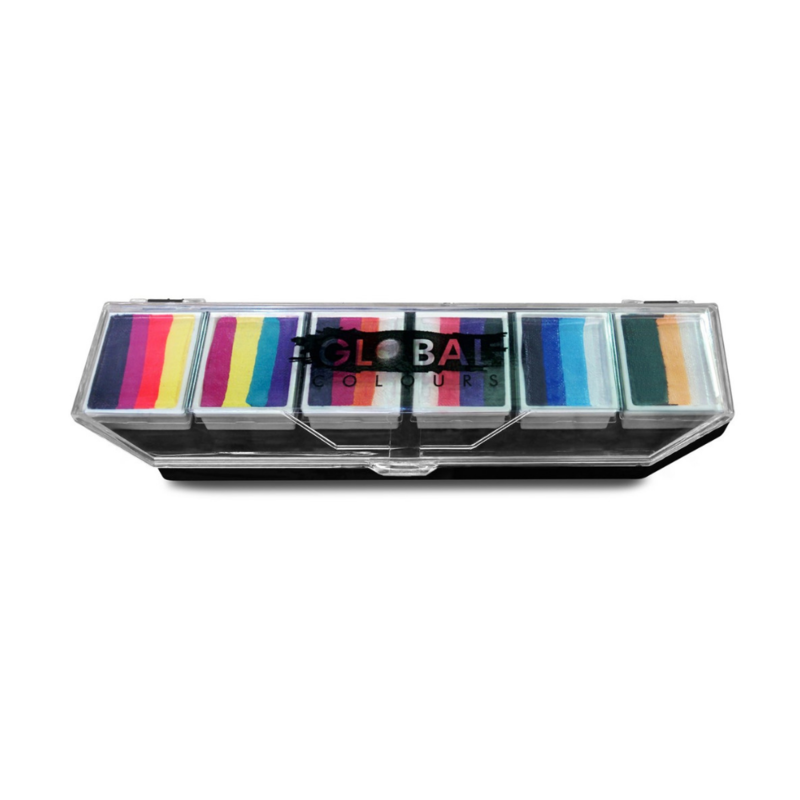 This Fun Stroke Palette offers you a variety of small Global Fun Strokes cakes. There are 6 different cakes each containing 10 grams of paint, the containers are shorter and shallower than the regular 30 gram Fun Stroke cakes. This palette is a great way to test color combinations to find your favorite ones or to use as a small travel kit! The possibilities are endless! Rainbow Splash contains the following Fun Stroke cakes - Hobart, Melbourne, One mystery Fun Stroke (Black, Rose Brown, Apricot, White), Granada, Ibiza, and Sydney.